Royal Metals Group (RMG) (www.royalmetalsgroup.com/) is a precious metals investment group and dealer that was founded in 2009 and is based in Princeton, Iowa. According to their About Us page, the company was started by a group of trusted financial advisors and insurance agents that created the business with the goal of helping clients diversify their portfolios through precious metals investments. Although not much information is given about the company's management staff on their official website, their profile with the Better Business Bureau has Chelsea Gless listed as the Principal Contact and CEO. The company was founded by Chelsea's husband, Richard E. Glass. Royal Metals group specializes in the sale of gold and silver bullion coins and bars. According to their ‘How to Get Started with Precious Metals IRAs' guide, they refer clients to set up an account with Sterling Trust Company (Equity Institutional). Therefore, the annual cost of storing any precious metals purchased from Royal Metals Group in an IRA would be determined by the storage/admin fees charged by Sterling Trust, which is one of the top 10 IRA custodians of 2015. Bullion & Coins – RMG's complete catalog of gold and silver bullion bars and coins. Buyer's Guide – A FAQ section dedicated to answering basic questions about precious metals investing. About RMG – A brief company overview. With so many companies out there, it can be difficult to select a bullion dealer to purchase gold from when investing in an IRA. 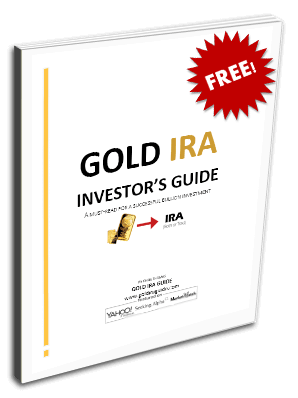 Fortunately for you, we've made it easy for anyone to compare the top 70 Gold IRA companies with our convenient comparison chart that streamlines the research process. Most advisors recommend allocating about 5%-20% of your holdings to hard assets like precious metals in order to protect against inflation and currency devaluation. The experts at RMG recommend dedicating an even larger 20%-40% of your portfolio to precious metals. It goes without saying that choosing a company to trust with such a significant portion of your retirement savings should not be a rushed or underplayed process. We recommend choosing a company that has a great reputation and is directly partnered with an IRA custodian that charges a low flat-rate annual fee. That way you'll be able to purchase IRA-eligible bullion and have it deposited directly into a self-directed precious metals IRA without any extra hassle. If you're an owner, representative, or associate of Royal Metals Group and you've noticed any information in this review that is incorrect, outdated, or misleading, please do contact us with your concerns. We will gladly honor any revision or removal requests that are in line with our goal of providing the most useful and accurate company reviews on an ongoing basis. Royal Metals group specializes in the sale of gold and silver bullion coins and bars. According to their 'How to Get Started with Precious Metals IRAs' guide, they refer clients to set up an account with Sterling Trust Company (Equity Institutional). Therefore, the annual cost of storing any precious metals purchased from Royal Metals Group in an IRA would be determined by the storage/admin fees charged by Sterling Trust, which is one of the top 10 IRA custodians of 2015. Royal Metals received a large sum of money in January 2017 for an IRA rollover from my client. It is now October 2017 and they have yet to totally fulfill the order. At this point they have proven themselves to be non reputable. My client is still out five figures. Save yourself the aggravation and do not use this company. I work for a firm who has a client who lost money with RMG. RMG directed silver to be shipped to them and sold the silver (presumably) and was to have sent a check to Equity International. It never happened. as they will lie to you in a skinny minute!!!! !